MADRAS, OR -- Jefferson County voters will again decide the future of jail funding. County Commissioners formally approved a request, Wednesday, to send a three-year local option tax levy to the May 21 ballot. It asks voters to decide on a property tax of $1.39 per thousand dollars of assessed value. The request is 15-cents more than the current levy, and about 30-cents less and for a shorter term than a bond measure defeated last November. Sheriff Jim Adkins says the money is needed to continue operations at current service and staffing levels. 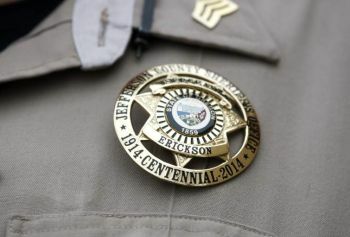 For years, Jefferson County received additional money through a lease agreement with Crook County. But, that revenue source is drying up because that county is nearly ready to open its new, larger facility and will no longer need to send inmates to Madras.